Please contact the sports center in Manhattan to check which activities are being offered and their timetables, given that varieties of Manhattan Swimming Pool (New York) may perhaps have several rules and fares than other locations. Are you on holiday and wish to keep fit and healthy? 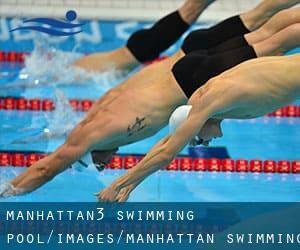 Swimia.com offers you the simple and quickest approach to discover Aquagym in Manhattan near your current location. The best option for the duration of your visit to Manhattan might be droping by a Manhattan Pool. Do you know of any Pools in Manhattan that need to be listed here? Contact us!. Thanks to some new pools submitted by swimmers like you, Swimia.com is growing in the every day quantity of stored pools. Please don't hesitate to contact us in case you locate any Manhattan Pool with inaccurate or incomplete information. Most in the varieties of Manhattan Swimming Pool (New York) provide both open lanes for independent swimming and also guided activities like water aerobics or Aquabike. One of the advantages of outdoor swimming in Manhattan will be the possibility to sunbathe in the course of the summer time season. Taking it with additional care, sunbathing is healthy given that introduces Vitamin D into the body, so the best selection seems to be switching between indoor and outdoor pools depending on the season. Enjoy the best indoor pools in Manhattan and don't worry about the weather. These facilities are open all seasons and you can enjoy a swim at the same temperature every day of the year. There are many reasons why you need to choose a heated swimming pool in Manhattan. Probably the most essential one relies on the importance of keeping the body temperature stable. If the water is as well cold, your body will try to warm it up and you will lose strength to swim appropriately. If you're tired of getting eyes and irritated skin, obtaining a saltwater pool in Manhattan is often the answer. You ought to understand that the degree of salt from these pools is well below the level of salt from sea water, specifically they are talking about a tenth or less. There are a number of alternative remedies to chlorination, with great advantages that guarantee superior water high quality in the pool. 1 possibility will be the mineralizer, which purifies water naturally and significantly decreases the chemicals utilised and maintenance time. Try Chlorine Totally free pools in Manhattan. Updated on 2019 1605 Broadway, 15th Floor , Midtown / Times Square , New York , NY , USA (Postal Code: 10019). This sports center offers 50 feet x 18 feet, 4 lanes, Indoors. For this Pool, only phone number is number here. Updated on 2019 39 Whitehall Street , Financial District , New York , NY , USA (Postal Code: 10004). Among all of the activities offered by the center, when you are enthusiastic about swimming you might appreciate 60 feet, 2 (wide) lanes, 3 feet - 5 feet depth, Indoors. If you might want to contact this Swimming Pool, e-mail address and phone number are both number. 344 E. 14th St. , New York , NY , USA (Postal Code: 10003). Among all the activities offered by the center, when you are thinking about swimming you will enjoy 20 yards x 25 feet, 4 lanes, Indoors. If you should contact this Swimming Pool, email address and phone number are both number. 180 W. 135th St. , Harlem , New York , NY , USA (Postal Code: 10030). Swimmers like you reported 20 yards x 20 feet, 4 lanes, Indoors. Unfortunately we do not have the e-mail address of this Pool, but we can provide you with the phone number. 533 W. 59th St. , Hell´s Kitchen / Columbus Circle , New York , NY , USA (Postal Code: 10019). Among all of the activities provided by the center, if you are considering swimming you may take pleasure in 20 yards x 35 feet, 4 lanes, 8 feet depth, Indoors. Just in case you wish to get in touch with this Swimming Pool prior to dropping by, we only know the phone number. 334 Amsterdam Ave. at 76th St. , Upper West Side , New York , NY , USA (Postal Code: 10023). Swimmers like you reported 25 meters, 5 lanes, Indoors. Unfortunately we do not have the email address of this Pool, but we can give you the phone number. 430 West 25th Street (between 9th & 10th Avenue) , Chelsea , New York , NY , USA (Postal Code: 10001). Among all of the activities offered by the center, when you are enthusiastic about swimming you might appreciate 25 yards, 6 lanes, Indoors. Just in case you want to contact this Swimming Pool prior to dropping by, we only know the phone number. 392 Asser Levy Place , Gramercy Park , New York , NY , USA (Postal Code: 10010). Swimmers like you reported 22 yards x 26 feet, 3 lanes, 8 feet depth, Indoors. Unfortunately we do not have the e-mail address of this Swimming Pool, but we can give you the phone number.